Our client is based out of Tustin, California, and is a respected durable medical equipment (DME) consulting organization. They specialize in medical device reimbursement and strategic marketing. The client was looking for an outsourcing partner who could provide important research data on reimbursements and billing of DME products. They wanted to partner with a professional service provider who could provide the services at a very competitive price and within a quick turnaround time. Although similar to many other projects we have completed, the main challenge of the project was that the client wanted us to perform in-depth research for various DME products, billing processes, insurance coverages, and update spread sheets accordingly under one FTE. Overall I am pleased with the support. The response time and communication is fine. 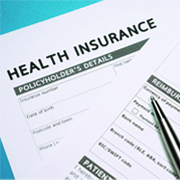 Knowledge about billing and claims is excellent. Outsource2india has been in the medical billing and coding domain for about 20 years now and our highly skilled team has been providing DME billing services to global clients at cost-effective rates throughout while maintaining high quality. By outsourcing the medical billing requirements, companies and healthcare organizations are able to concentrate more on their core operations. If you have any kind medical billing and research requirements, feel free to contact us and we will get back to you within 24 hours.